February 4, 2019 7 – 10 p.m. The Division of Diversity & Inclusion in partnership with Foreign Languages & Literatures, and Religious Studies present: Migrant Voices! 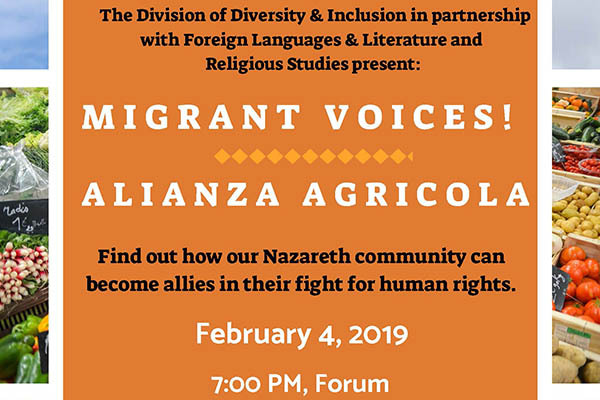 Find out how our Nazareth community can become allies in their fight for human rights. Co-Sponsored by LASMA, Faculty Lecture Series, Center for Student Success, Sociology & Anthropology, and the Rose Marie Beston grant.